I am beyond thrilled about today’s new video! It’s episode 2 of Food With My Dude™ featuring my fantastic husband Aaron! A husband and wife cooking series sharing easy, healthy & hearty recipes! Today’s recipe was inspired by a childhood dish that Aaron’s mom use to make! 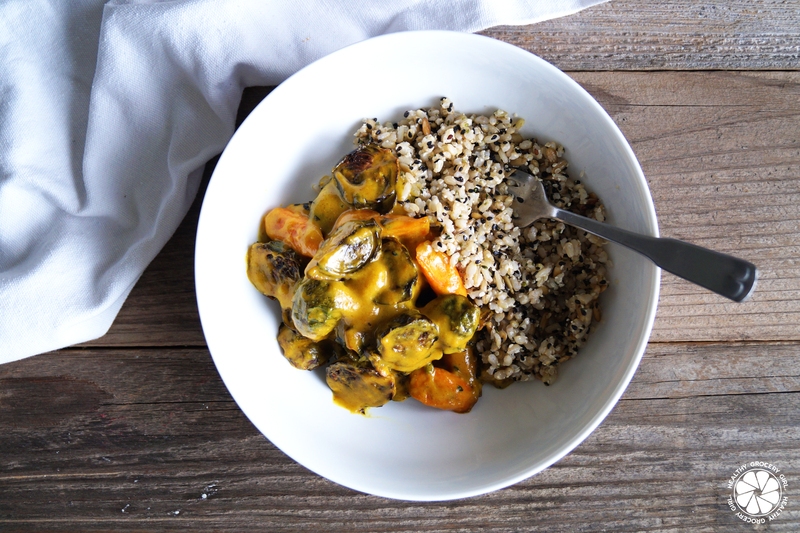 Aaron has revamped this recipe and today we’re sharing our version, Honey Curry Brussels Sprouts with Super Seeded Rice! Vegetables as the main course, you better believe it! Place the pot with sauce on the stove set to low, when sauce is warm add in brussels sprouts and carrots. 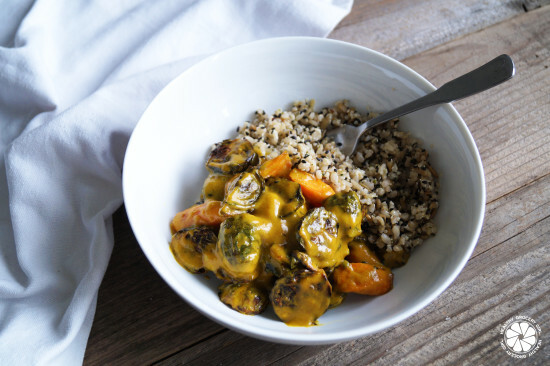 In a bowl or on a plate add your super seeded rice and a big helping of honey curry brussels sprouts!